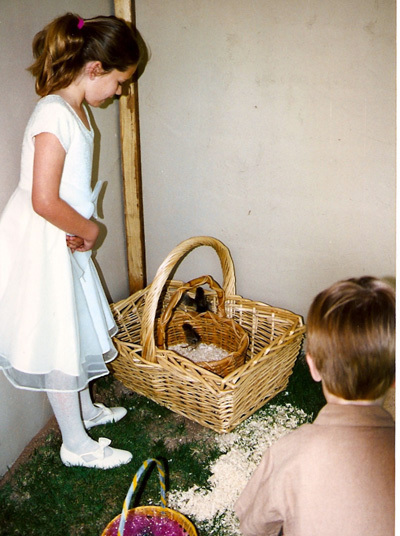 For Easter 1996, when Marissa and Connor were 8 and 5 years old, we gave them four baby chicks. We raised the chickens as pets and for their eggs. One chicken laid white eggs, another produced brown eggs, and the other two were araucana chickens. They gave us beautiful blue and green tinted eggs. It was such a joy to go out each day and find those fresh eggs in their various hues. We had to give the chickens up when we moved to our current home, over a dozen years ago. Not only do I miss the daily fresh eggs, but also those lovely colors. Last year, thanks to a guest on Martha Stewart, I found a way to create my own amazingly gorgeous eggs, maybe not on a daily basis, but at least for Easter. The secret? 100% silk! 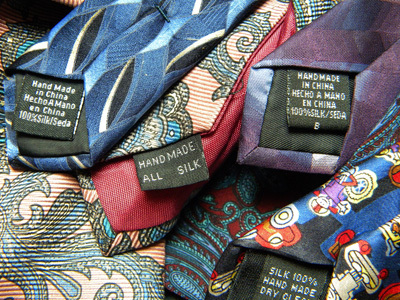 If you’re in need of purging your closet, this is a good time, at least for 100% silk items, such as ties and scarves. If not, head out to the closest Goodwill or thrift store to find such items. I went to the Goodwill at 40th Street and Thunderbird over the weekend and bought all 32 of the 100 % silk ties they had, so be sure and go to another location! 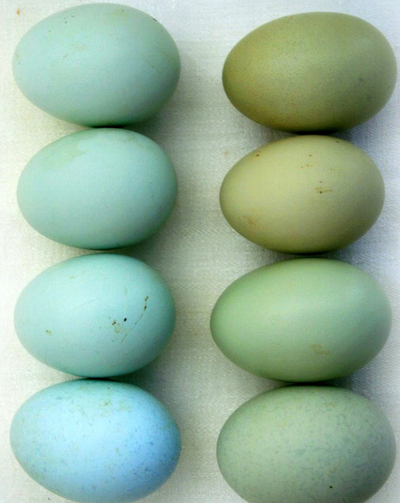 Once you see these pictures, I think you’ll be tempted to use silk for coloring your eggs this year. I find the process of boiling and coloring, all in the same step, much easier than the old way with food coloring, so I’m placing these in the “Easy-Breezy” category. It takes only two words to describe them… Absolutely Gorgeous! 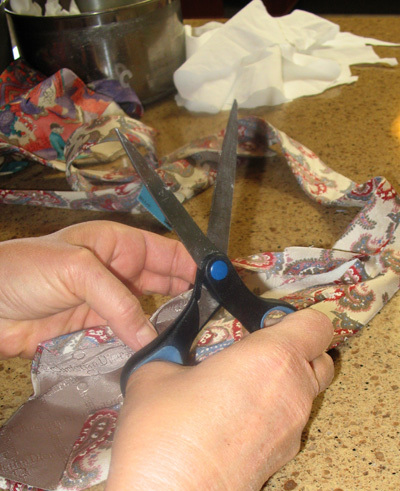 If using ties, open up the back seam of each tie and cut out the cotton liner from the center. Cut silk ties, scarves, or fabric and the white fabric into 7-inch x 7-inch squares. 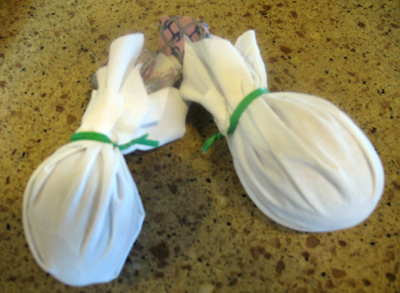 Wrap an egg tightly in silk, with the “nice” side of the silk against the egg and the “bad” side of the silk on the outside. 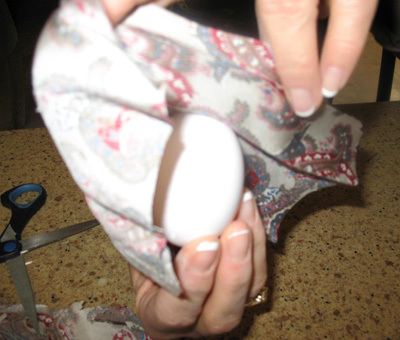 Then enclose the silk wrapped egg in the white fabric and secure with a twist tie. 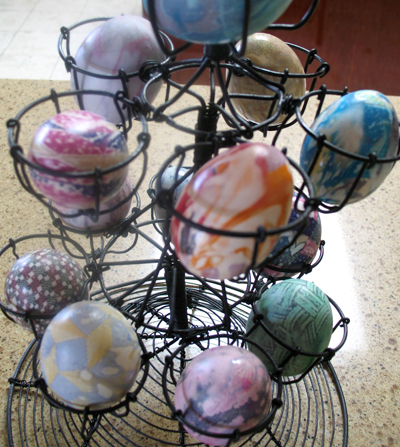 Repeat with all the eggs in a variety of silk fabrics. 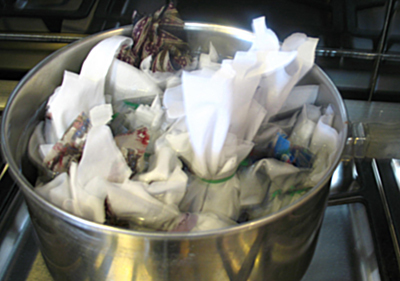 Place the wrapped eggs in a large non-reactive enamel or metal pot in one layer. Fill the pot with cold water to completely cover the eggs. Add 1/3 cup white vinegar. Bring to a boil over high heat, reduce heat to a simmer and cook for 18 minutes. Remove eggs from water and allow to cool, then unwrap. Lightly rub eggs with a small amount of oil to make them shiny. 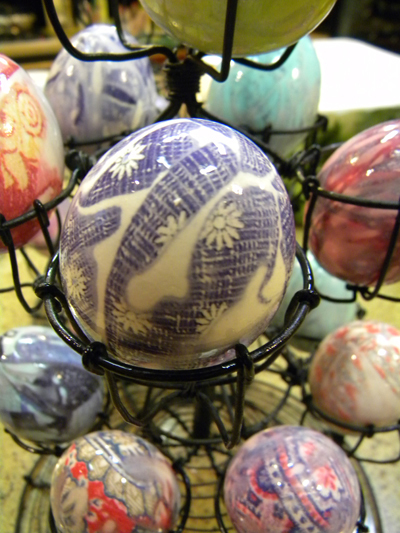 Voila, gorgeous unique eggs! Store in the refrigerator as you would any hard cooked egg. The silk squares may be reused at least 1 more time each and sometimes even a third time, so let them dry out and store for next year. Click on THIS LINK to watch Marissa and I create the eggs on Valley Dish with Tram Mai! Hi Linda, one of the kids has spring break this week so we are headed to Goodwill today. Once my oven gets delivered we can make some of those beautiful eggs. Thanks so much for the help with my oven questions last night too. 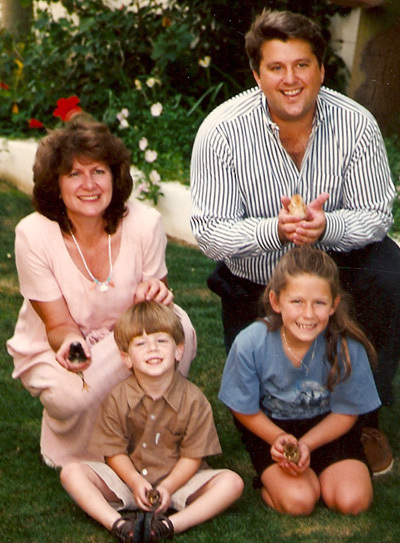 What an adorable picture of all of you & the chicks! It’s hard to believe how much the kids have grown up. No comment on you & Dave. Have a very Happy Easter. Anytime Sharon! Can’t wait to hear how your eggs turn out… or better yet, take a picture or two and post them on my fan page on facebook…. would love to See them! This was so fun to do with you last Easter!! They are beautiful..Where do you get the energy !!! Linda….. I love these eggs. I am doing this with the kids today. Looks super easy and unique. Love it.